This project involved the construction of a high level care Residential Aged Care Facility as a discrete complex within the grounds of the Sir Leslie Morshead War Veterans Home. The client requested that the new facility be connected to the existing services together with a dedicated secure outdoor recreation area. A low maintenance landscape with security lighting was also created for the residents. Features included the installation of a “Wanderer” security system, in slab heating and vaulted ceiling in the lounge / dining area to create an open feeling. 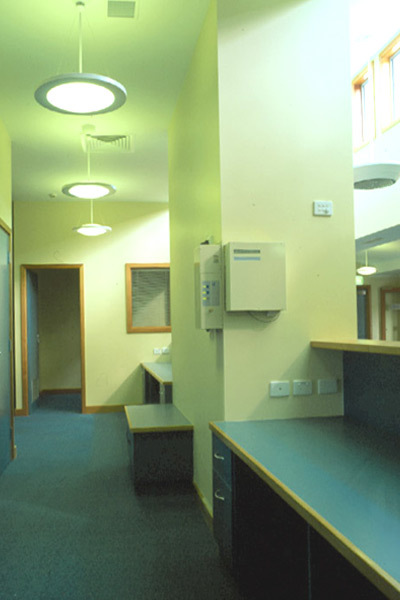 All rooms were equipped with full disabled facilities and open on to a community courtyard.